Home > Uncategorized	> Got Forests? “In the early 1980’s, the state stopped participating in timber sales. So the state lands that were managed in timber, up to that point in time, were an important part of attracting the timber industry to the State. The State owns half or more of the wooded lands, so its been on the back of smaller producers to attract competition to the state. And what they’ve ended up with is the one guy who wants to come and cut in NJ, kind of setting the market price. And so we’ve had a depressed value of our wood products. 1) NJ effectively had a moratorium on logging state forests for over 30 years. The bill is designed to end that and promote logging, thus advancing a radical change in policy. 2) The bill is designed to attract the timber industry to NJ and to stimulate and expand the existing wood and timber industry in NJ. 3) The [false] scientific premise of the bill is that it was the termination of state timbering has led to a decline in forest health. 5) The bill provides [perverse] incentives to DEP by reliance on timber sales revenues to fund the forestry program. I think that pretty well sums it up, no? So, lets examine those claims. As the Farm Bureau states, is the decline in forest health a result of or even related to the State’s termination of logging in the 1980’s? It is no secret that the health of NJ’s forests face severe threats from a myriad of activities: like fragmentation due to sprawl development; destruction by construction of miles of new gas pipelines and electric transmission right of way; invasive species; acid rain; air pollution; pests; and over-abundant deer browse. Those threats are greatly compounded by climate change, which alters basic ecological dynamics such as precipitation, temperature, timing of seasons, and destructive extreme weather events. Trees can’t adapt to this rate of change, so our forests are facing existential threats. The health of NJ’s forests are not declining because we are not cutting enough of them down. Large contiguous forest tracts (greater than 500 acres) provide critical habitat resources for many species. These large forest tracts cover approximately 350,000 acres (25 percent) of the Highlands. There are only 11 tracts of forest that are greater than 5,000 acres. These largest tracts comprise approximately 60 percent of the New York – New Jersey Highlands core forest interior habitat. The survival of large mammals, such as black bear, and furbearers, such as bobcat and river otter, depends on maintaining contiguous habitat throughout the Highlands. Contiguous habitat provides migration corridors, and extends the feeding and breeding range of these populations. The Highlands serve as a major migratory flyway for many neotropical bird species, many of which populations are in decline. Of particular concern to ornithologists are the 70 to 75 species of interior nesting neotropical migrants such as the red-eyed vireo, American redstart, Kentucky warbler, and eastern pewee. These species require large undisturbed forest patches. Fragmentation and alteration of habitat continue to pose the greatest threat to the biological communities in the Highlands. The rapid expansion of urbanization encroaches on and fragments habitat, destroys individuals as well as populations, and potentially threatens the continued existence of many biological communities. Degradation of habitat by direct destruction or indirectly through pollution, erosion, introduction of invasive species, or fragmentation threatens the existence of species, diminishes natural communities, and reduces genetic variability. Two-thirds of the migrant birds that use the eastern migratory flyways are believed to be in serious decline. Several species including the wood thrush, Kentucky warbler, black-throated blue warbler, and cerulean warbler are on the Audubon Watch List for species in rapid decline (National Audubon Society 2001). Population declines have been primarily attributed to the loss of habitat through forest fragmentation and development pressure. Additional causes of bird population declines in the Highlands include exposure to human-derived contaminants, increased competition with nonnative bird species, increased predation from domesticated animals, and collision with structures. The parcelization of the landscape highlights the importance of those unfragmented, high value areas, including forests, that still remain. The analyses in Section 3 identified 11 such areas, comprising about 86,000 acres of the Highlands region, as Conservation Focal Areas (see Figure 3-19, page 131):. The Legislature further finds and declares that, since 1984, 65,000 acres, or over 100 square miles, of the New Jersey Highlands have been lost to development; that sprawl and the pace of development in the region has dramatically increased, with the rate of loss of forested lands and wetlands more than doubling since 1995; that the New Jersey Highlands, because of its proximity to rapidly expanding suburban areas, is at serious risk of being fragmented and consumed by unplanned development; and that the existing land use and environmental regulation system cannot protect the water and natural resources of the New Jersey Highlands against the environmental impacts of sprawl development. Is there anything in the Forest Service Reports or the legislative findings there about the need to restore logging and attract the logging industry to NJ, as suggested by the Farm Bureau? So why on earth would the Legislature now want to ignore all that science and magnify all those threats by ending what amounts to a longstanding 30+ year moratorium on logging of state forests and public lands? To create a handful of jobs and more profits to the logging industry? 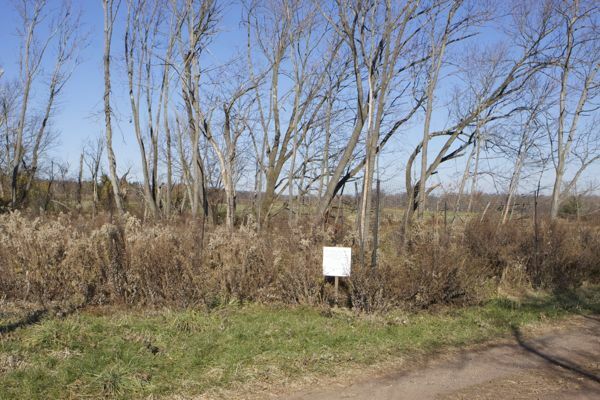 Why would NJ Audubon Society – who developed the science and advocated forest metrics designed to protect large blocks of contiguous forests and maximize tree canopy during the 2005 DEP Highlands rule process – suddenly do a U-Turn and support a bill to promote logging and more forest fragmentation and opening of the canopy? 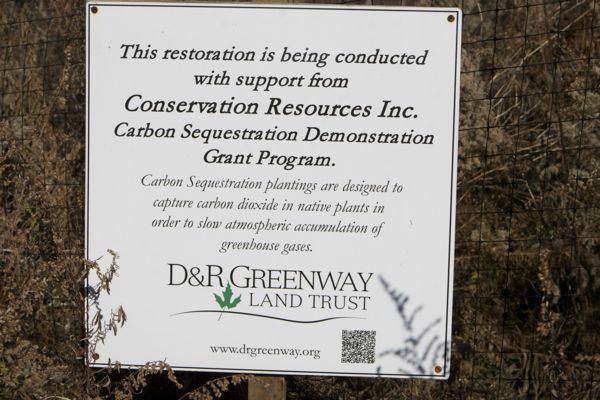 sequestration project in Hopewell Borough - "carbon sequestration plantings are designed to capture carbon dioxide in native plants in order to slow atmospheric accumulation of greenhouse gases." The “environmental” or “conservation” case for the bill is made by Mike Catania, former DEP lawyer and head of Conservation Resources, Inc..
Basically, Mike thinks the bill’s opponents are misguided and are waging a battle based on ugly personal attacks. According to Mike, we can’t see the forest for the trees (that title an echo of my December 2011 post “Legislators can’t see the forest for the fees”) and need to “come to terms” with the bill and give the sponsors a break. Mike’a a lawyer, so perhaps he can explain how the provisions of Section 3 of the bill that the State forester “ensure” that the forest management plans are implemented can be enforced. As Mike knows, as a result of recent legislation, guidance documents (like the Forest Stewardship Council’s) can not be enforced. As Mike also knows, the goals and objectives in Section 2 are aspirational and lack enforceable implementation provisions in Section 3. As Mike knows, the provisions of Section 3 that direct the State Forester to “ensure” various environmental objectives and forest management plan implementation lack standards in the bill, and also lack provisions that would mandate that Forest Management Plans comply with existing environmental standards and requirements established pursuant to the Highlands Act, DEP Highlands regulations, the Highlands RMP, Category one stream 300 ft. buffers, the Freshwater Wetlands Act, Soil Erosion and Sediment Control Act requirements, or linkage to the carbon sequestration objectives of the Global Warming Response Act. Forestry is exempt from all that – and more – under the bill. And Mike, as a lawyer, surely knows all that. And by my by noting all those flaws, I’m the one with the problem and I can’t see the forest for the trees and am engaged in ugly personal attacks, right? And maybe Eric Stiles, who heads NJ Audubon and personally developed those forest metrics I just mentioned, can explain the sudden U-turn on the Forest Service science and the basis for the Highlands Act. Could it have anything to do with Audubon’s (undisclosed) interests in management or consulting fees or other economic benefits resulting from the bill? Maybe Elito Ruga of the Highlands Coalition can explain why he would support a bill that exempts commercial logging from the Highlands Act, the DEP Highlands regulations, and the standards of the Highlands Regional Master Plan – the basic tools his organization is supposed to advocate for. A bill to promote, expand, and accelerate commercial logging in State forests and state lands was approved by the Assembly Natural Resources Committee today, despite harsh testimony against the bill by NJ’s two largest environmental groups, NJ Sierra Club and NJ Environmental Federation, backed by the NJ Environmental Lobby, Delaware Riverkeeper and NJ PEER. Jeff Tittel of Sierra had particularly compelling testimony – You can listen to the testimony at this link. The bill was already approved by the Senate and if passed by the full Assembly will go to the Gov. for his likely signature. The bill represents a stain on the legislative legacy of two Highlands champions, who co-sponsored the 2003 Highlands Act specifically to preserve intact Highlands forests, and now co-sponsor a logging bill to fragment those same forests. I testified that the bill lacked of safeguards to assure protection of sensitive natural resources and landscape features, or adequate public involvement and review. I noted that the bill’s goals were aspirational goals and that they do not establish a policy or ensure the highest level of protection for public lands, backed by clear legislative or regulatory standards. I noted that the effect of the bill would be to promote, expand and accelerate logging on state lands – trading forests as a market commodity, not a public resource. I warned that the forestry program established under the bill provides perverse economic incentives to DEP, which will result in logging to generate revenues to fund the bureaucracy. The bill would allocate net revenues to the Hunters & Anglers Fund and biodiversity projects. But there will be no “net proceeds” so the bill will not fund the Hunters & Anglers Fund or biodiversity projects – these were cynical inducements to garner the political support of powerful hunting and conservation groups. That is just one reason why the DEP and OLS failed to conduct any economic or fiscal analysis. I concluded that – in contrast to Mike and NJ Audubon -while I had offered recommendations, it’s “not my role to cut deals”. large view of sequestration project in Hopewell - looks like a bunch of weeds surrounded by plastic fence. "By their fruits, ye shall know them." [PS – the debate on this bill is not taking place in a vacuum. In subsequent posts, I will outline specific projects and specific abuses that illustrate my criticisms. Finally, I feel like a fool, because the sponsors, in drafting the Senate Committee substitute, made all the rhetorical and the cosmetic changes I recommended, but none of the larger policy or regulatory protections, or forest safeguards, and substantive amendments. 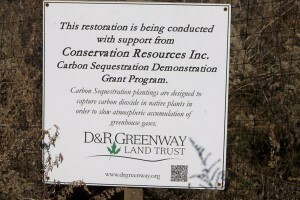 WolfeNotes.com » Are There Bad Faith Dealings on “Forest Stewardship” Bill? Ray-Ban Sunglasses Online, Brand New Ray-Ban Sunglasses Online, Free and Fast Delivery, Satisfaction Guaranteed.